Cats Protection’s Bridgend Adoption Centre is looking for a loving home for a blind cat in its care. Zenga was admitted as a stray with her five-week-old kittens. Sadly one of her kittens passed away but the other three have survived and been adopted. Now Zenga is looking for a new home of her own. Sue Dobbs, Adoption Centre Manager said: “Cats that are blind or have impaired vision can live happy and healthy lives, as they use other tools such as scent, memory and touch to find their way around. Zenga has detached retinas; our vet believes she was born blind. She also has a heart murmur, it’s a miracle that she has survived being a stray and managed to raise a litter of kittens in the process. 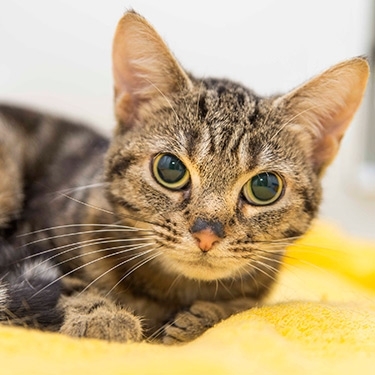 “We think Zenga will be best suited to an indoor home as long as the owner takes some simple precautions, for example, not moving furniture around and keeping her litter tray and feeding bowl in the same place.